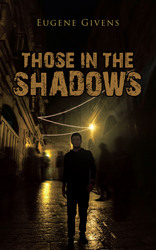 Recent release “Those in the Shadows” from Page Publishing author Eugene Givens is a captivating book telling the stories of special individuals who keep the peace throughout the world. Eugene Givens, who was once in the military where he served in the United States Army, doing clandestine aspects and assistance, has completed his new book “Those in the Shadows”: an absorbing narrative highlighting the duties of the Special Operations and their mission to document, extract, or neutralize targets, all for the safekeeping of the country and its interests for peace. Published by New York City-based Page Publishing, Eugene Givens’s stirring book details circumstances filled with trepidation as the soldiers embark on their normal and covert operations. This book gives a salute to their chosen passion of serving for the glory of their motherland. Readers who wish to experience this profound work can purchase “Those in the Shadows” at bookstores everywhere, or online at the Apple iTunes store, Amazon, Google Play, or Barnes and Noble.